The band, from Glasgow, were best known for reaching number one in 1969 with their cover version of The Beatles "Ob-la-di Ob-la-da". They had another 10 singles, including "Reflections of My Life" and "Rainbow", both of which Ford wrote. On Facebook his daughter called him "an amazing man, a gentle soul and extremely talented musician". 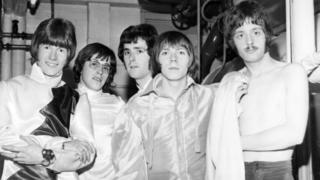 The band went on to become the first Scottish band to have a UK number one hit. To celebrate they appeared on Top of the Pops wearing kilts. Later that year "Reflections of My Life" made it into the top 10 on both sides of the Atlantic. The band toured with The Who, duetted with Bobbie Gentry and had six top 10 singles, before Ford quit the band in 1975. He moved to Los Angeles and became a limousine driver for Michael Jackson and Bob Dylan. He continued recording and in two months ago he released a 30-track album called "My Scottish Heart".